LOWEST PRICE ONLINE NOTE TO ALL BUYERS - When buying multiple items please use the "Add to Cart" button instead of buying items individually with the "Buy It Now" button. Using the "Add to Cart" button will reduce your shipping costs and expedite the shipping process. 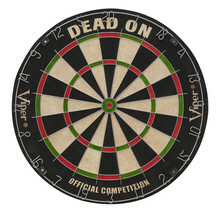 Viper "Dead On" Steel Tip DartBoard Features * Official-sized dartboard for downstairs rec room or garage * Self-healing surface constructed of sisal fibers * Staple-free bulls-eye helps minimize bounce outs * Accommodates both steel and soft-tip dart sets * Measures 18 inches in diameter by 1.5 inches 1-year warranty Product Description The Dead-On dartboard is official size: 18" x 1-1/2". It features a self healing board constructed of sisal fibers. 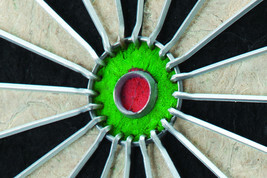 It also diamond-shaped wires and a staple-free bullseye for fewer bounce-outs. 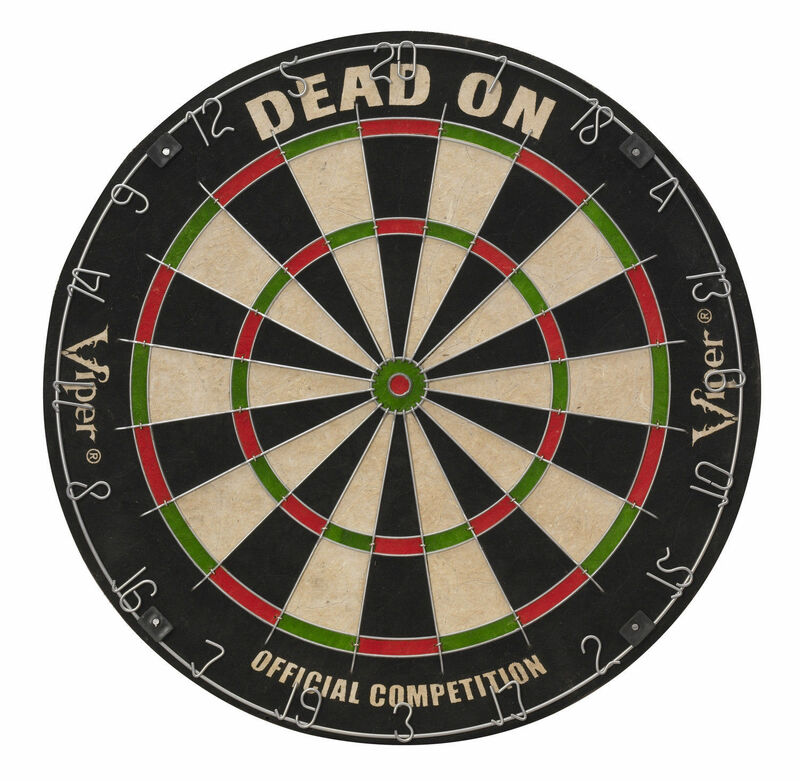 The movable number ring extends the board's life. Accommodates both steel-tip and soft-tip darts. 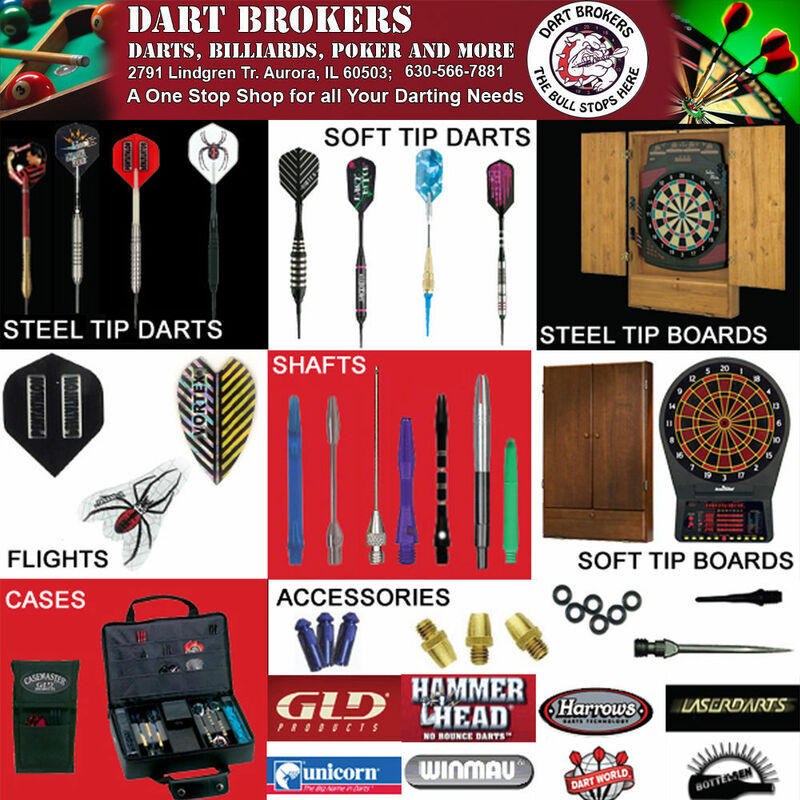 Product Details Please check out my store for lots of other Gaming supplies Dart Brokers is the largest wholesaler of Darts, Billiards and Poker supplies in the Midwest. We have an inventory of over 7 MILLION in stock. We can't possibly get all of our products up here at E_bay. 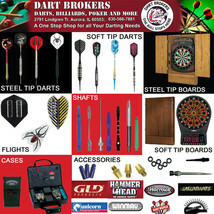 We have the lowest prices here and the quickest shipping time. Please look at our feedback, we are very proud of it. 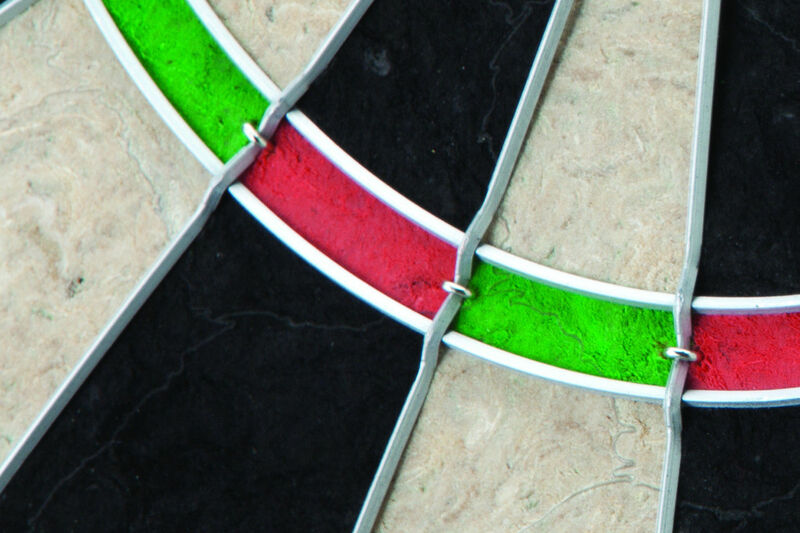 We PRIDE ourselves in supplying the best products at the least expensive prices to you, our valued customer. ALL INFORMATION INCLUDED ON THIS PAGE IS PROVIDED BY DART BROKERS AS A COURTESY TO YOU. YOU WILL RECEIVE EXACTLY WHAT IS DESCRIBED ABOVE. 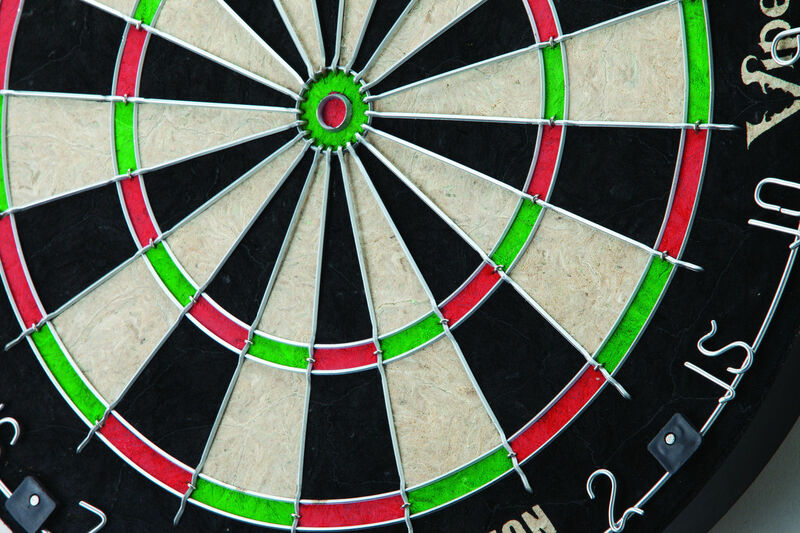 Please check out my store for lots of other dart supplies NOTE TO ALL BUYERS - When buying multiple items please use the "Add to Cart" button instead of buying items individually with the "Buy It Now" button. Using the "Add to Cart" button will reduce your shipping costs and expedite the shipping process. International Buyers - Please Note: Import duties, taxes, and charges are included in the shipping cost for items in's Global Shipping Program. Import duties, taxes, and charges on items shipped outside the Global Shipping Program are the buyer's responsibility. Please check with your country's customs office to determine what these additional costs will be prior to bidding or buying. Be sure to add me to your favorites list! Sign up for my email newsletters by adding my Store to your Favorites saleto be paid within 3 days ofsale end!! !